In Insight, wells are created and managed in the Well tab. 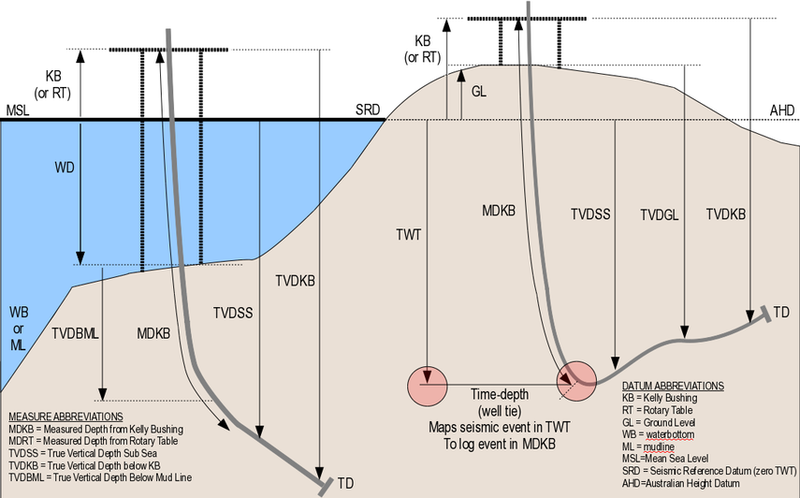 See Creating a New Well to create a well object in Insight and define the general information. Wells that have been saved in the project database can be loaded into your session in the normal way (see Loading Wells). Once you have imported/loaded a well object, you can link the new well to its components (i.e. the deviation, checkshots, markers and LAS files). click the square note icon. To understand what each action does in the Configure Well window, see Managing Well Components. Using Multiple Log Curve Files. 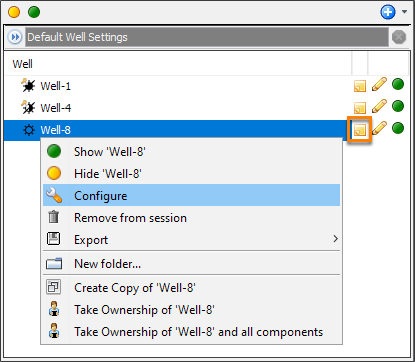 Certain well properties, such as well and marker view settings, can be configured from the Details Panel of the Well tab (see Using Well Properties). However, properties such as well curves can be selected for ALL wells from the Default Well Settings section (see Selecting Default Well Curves for All Wells). The diagram above depicts the measurement of each height datum together with its abbreviation. For more information, see Height datums and abbreviations. To bulk export all well data, see Exporting Bulk Well Data.